A K-8 charter school for students in Houston. February is definitely off to a great start. We have confirmed our facility for the upcoming school year and renovations will begin soon in order to have a welcoming environment for our students in August. We will be located at 4315 W. Fuqua Street, Houston, TX 77045. This is an amazing location as it is directly in the heart of our community and easily accessible for families. We have also continued to build partnerships in our community that will definitely support our students and staff in the future. One of those partnerships is with the West Orem YMCA. This month, they will host our Information Session. 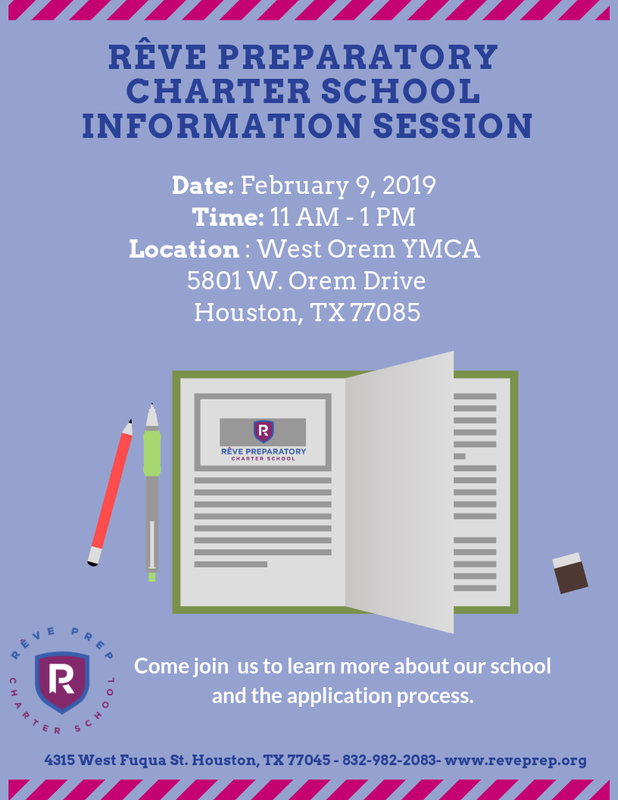 This is a great opportunity to come meet our team, learn more about the school, and ask questions. Additionally, we will have light refreshments and prizes, including school shirts and Children’s Museum passes. We are still accepting applications for our inaugural cohort of Kindergarten and First grade students for the 2019-2020 school year! Please forward this newsletter and share with your family and friends. This month, we highlight the third element of our unique school design, a program we call Beyond the Block. This unique element is another creative opportunity for our students to broaden their dreams as they work hard to turn their dreams into realities. 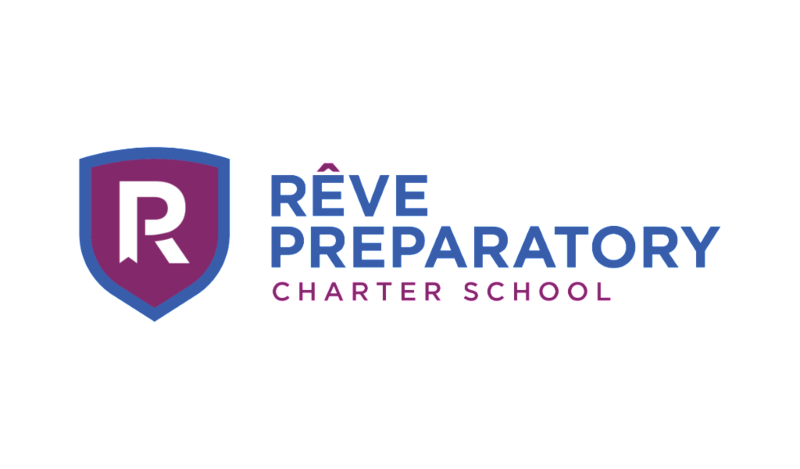 At Rêve Preparatory Charter School we believe that all students deserve a comprehensive, rigorous K-8 education that ensures their readiness for high school and college. In addition to our core academics, we believe enrichment opportunities support our students to have a more engaging learning experience. The third unique element of Rêve Prep’s school design is a program we call Beyond the Block. One of the identified issues in impoverished neighborhoods is the fact that children lack access to a wide variety of professional role models. The access to interact with a doctor, lawyer, or veterinarian, for example, does not exist every day for most of our students. Additionally, many children and residents in impoverished neighborhoods never have the opportunity or the financial means to travel outside of their community to explore their city or state. At Rêve Prep, we will combat these issues in two strategic ways. First, we will implement a career day and have a professional speak at the school about their personal and professional journey and highlight how a college education opened the doors for them to reach their goals. Second, we will organize field trips throughout the year to give students the opportunity to explore the broader Houston and Texas communities. Both of these opportunities will allow all of our students to grow and learn more about all the possibilities for their lives and continue to help them dream BIG. Are you a member of a religious or community organization? If so, we would love to visit and share more information about our school with parents looking for options for their children. Please contact us at info@reveprep.org. We are hiring Kindergarten and First Grade Teachers! – If you know of highly motivated, dedicated teachers that are driven by student success, please encourage them to submit an application at . Donate. We are ramping up our preparations for the 2019 – 2020 school year and can use your help in many ways. One of those ways is through financial donations. Please use this link to make a donation to our mission of bringing a high-quality school to our community. Volunteer. We hope to connect with as many community members, organizations, and businesses as possible in Central Southwest Houston and beyond. To fulfill our mission, we will need support in many ways. We are still in search of volunteers to help support our efforts to share details about our school with more families in Houston. Follow Us on Facebook. As we organize future events, one of the ways we will communicate details will be on social media. Please like our page and follow us on Facebook to learn about upcoming events and key updates from the team.